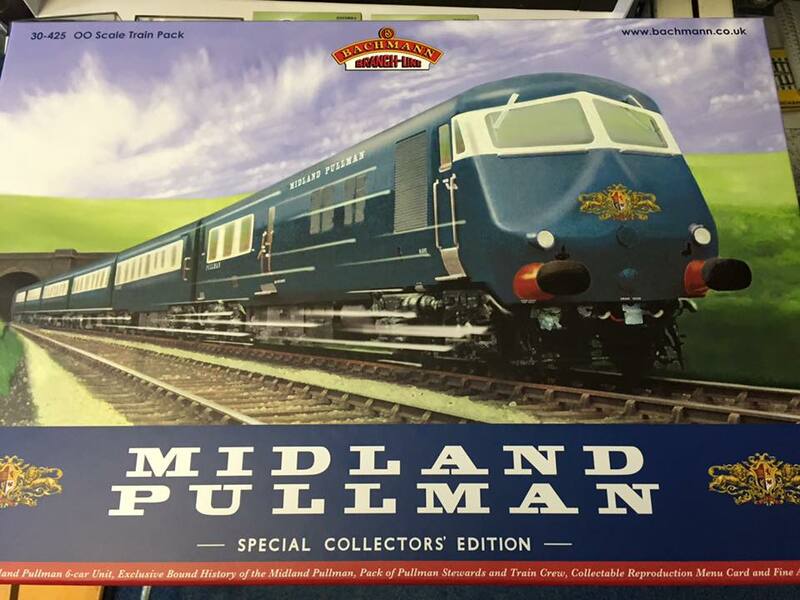 The Midland Pullman and The Elephant In The Room.... PRICE! 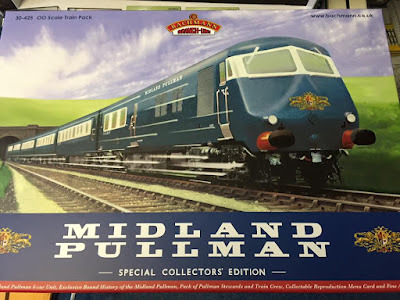 The recent arrival of the Bachmann Midland Pullman Train Pack, often referred to as the Blue Pullman has seen the most common complaint of recent times.... "How much???" 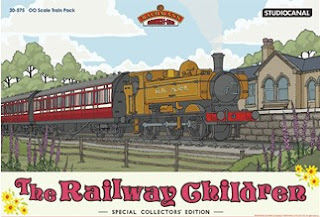 The six car set is superbly reproduced and comes in the stylish Bachmann packaging we have seen with the previous sets, such as The Ambulance Train, Railway Children and Shakespeare Express. 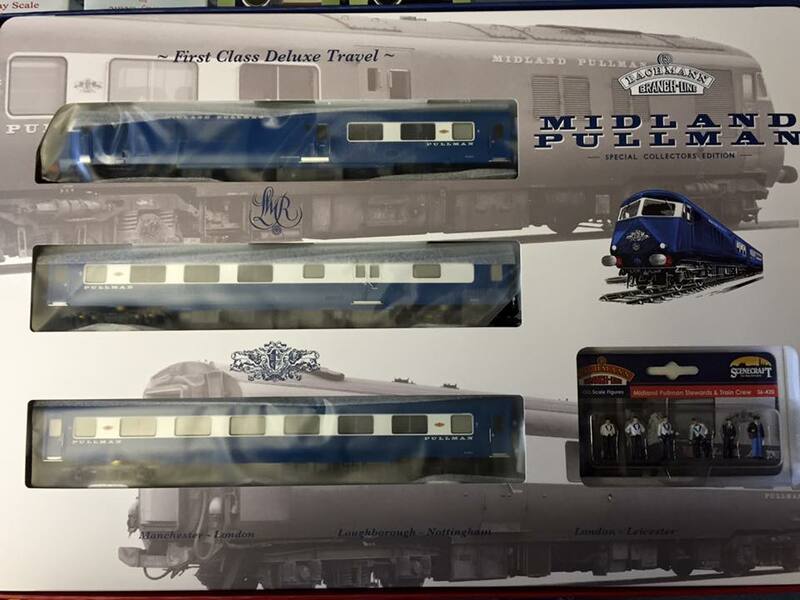 Along with additional features like the pack of Scenecraft figures depicting stewards and train crew, book telling the history of the train, reproduction menu and special edition print of the artwork on the box. All nice touches, although three of the four are hardly necessary to run the train. However, there only seems to be one talking point with this set and that's the price. With an RRP of £599.95 and a discounted price of £509.95 it certainly isn't cheap but is it really all that expensive? One comment that cropped up was "I think I'll stick with my Tri-ang one" which is absolutely fine if you wanted to do that and it makes you happy, but let's assume we want to have the best we can get. How much would that cost? 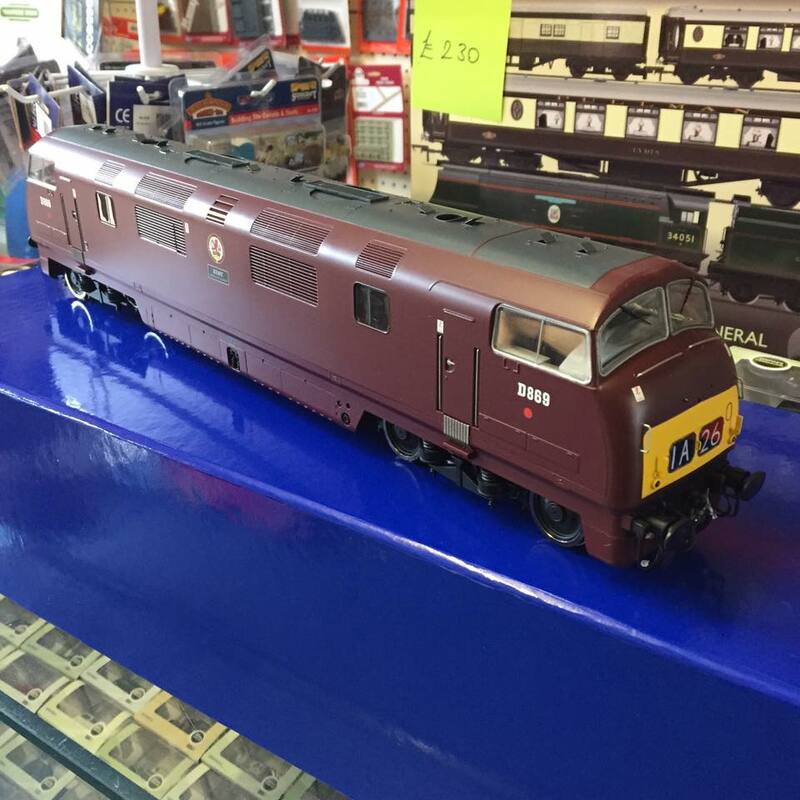 Well a quick bit of research shows that you could easily run up a bill of £300 investing in a reasonable Tri-ang version, extra coaches and all the details and modifications you need to bring the model up to a standard that would be acceptable on a modern layout. To some that might not matter (and if it doesn't then great, as I've said many times before it's your railway!) and if you've got the spare time then it makes a nice modelling project, but to me I'd rather spend the extra money and have the far superior product without the extra work. 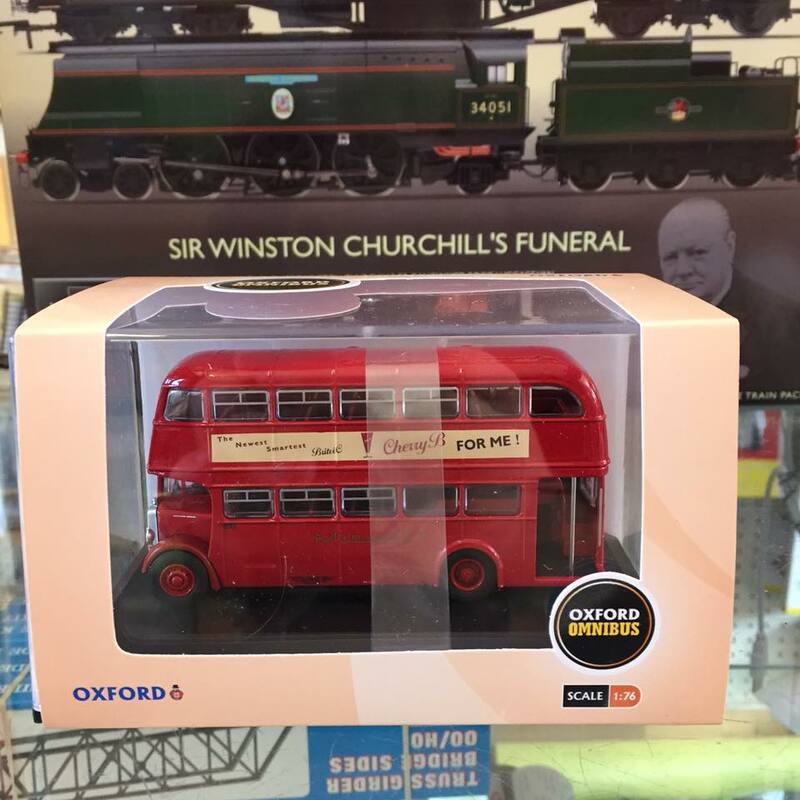 For those of you who do want the model then it represents a second chance to acquire one if you missed out first time round. Yes, the price has increased since that first release and Bachmann's price increases are well documented. However, I have seen second hand ones sell for over £400 before so at least this presents the chance to obtain a new one for slightly more. 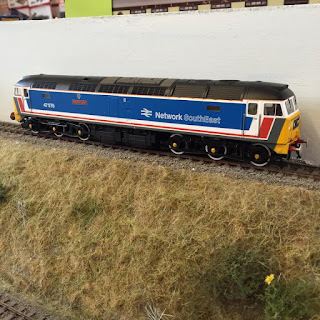 On the subject of second hand prices, before the first run of this model came out I can remember people asking £200-£300 for the Tri-ang set due to the fact "nobody else makes one"
Another interesting comment to come out of the production is "it's not practical" well yes if you have a layout depicting a sleepy country branchline station or a steam shed then this set certainly will not fit in! 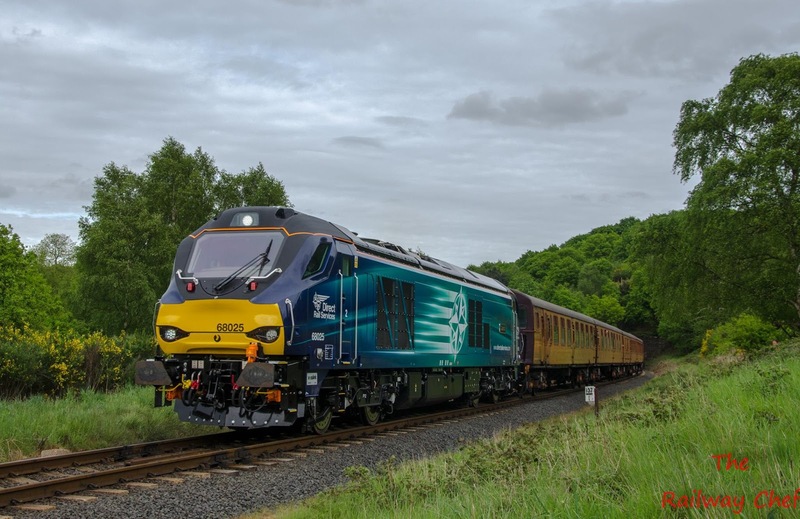 However, it's no different to running a medium sized steam, diesel or electric loco on five coaches so if you run a train like that then you can run one of these! 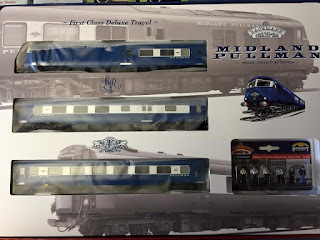 Preserved layouts, the best of both worlds? 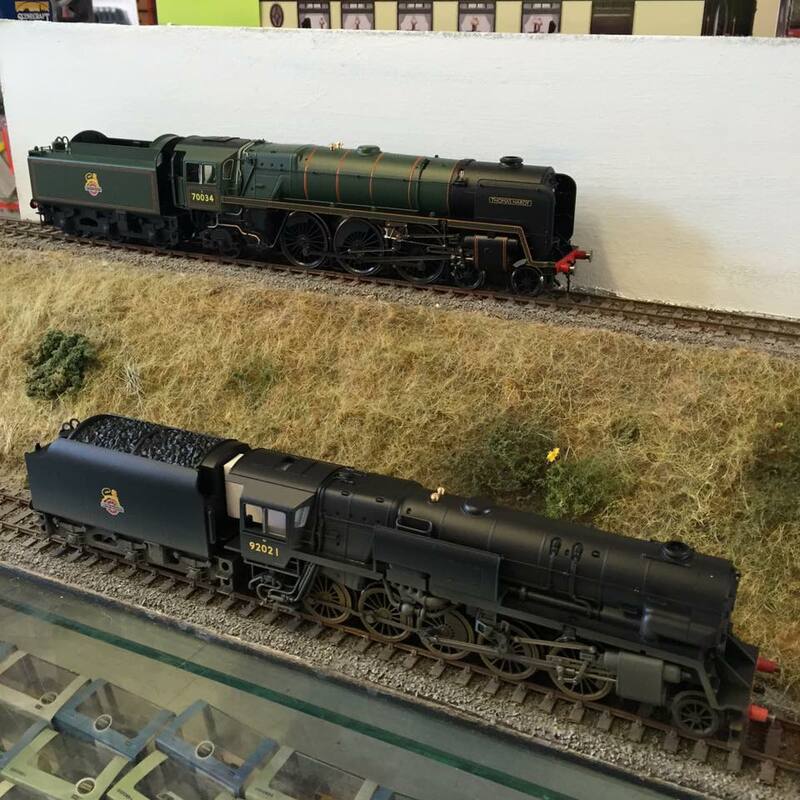 A trend seems to be developing amongst railway modellers in the last few years and that is the desire to model preserved locations, either real or fictional. This blog is going to look at that trend and also some of the pros and cons of such an idea. As can be seen in the above picture is quite possible to recreate a station on a preserved railway, one advantage of Quorn (or Rothley) on the GCR is that Bachmann produces the buildings to complete the scene (although now quite difficult to find) which certainly offers a head start on a project. Quorn has many advantages for the preserved railway modeller. If you are limited for space (as Joey is) the actual station fits into a reasonably small space and the break can come relatively near to the reception siding (in the foreground), if you aren't limited for space then you can incorporate features like the turntable, goods shed and dock. The other major advantage is that (at present) it's also the only through station on a preserved line that has fully functioning double track operation. Although with clever cut off points Bewdley on the Severn Valley could give the same operational qualities. I will look further at other locations in later blogs but for now I'm just going to focus on Quorn as an example of what can be achieved. 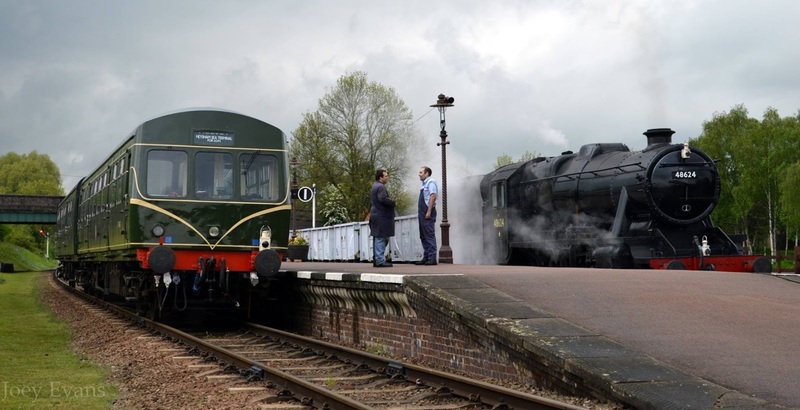 The above image shows Quorn station on the GCR as it is today, quite literally as the photo was taken last week! Which provides another good reason for modelling a preserved station that all the research you need is available at pretty much anytime. No trawling through countless photos online or in books looking for that one detail you can't find, it's all right there to see and record 'live' as it where. The negative is the rivet counters out there will pick you up on any and every mistake you make! When it comes to stocking a preserved layout in my opinion things can become a little difficult. 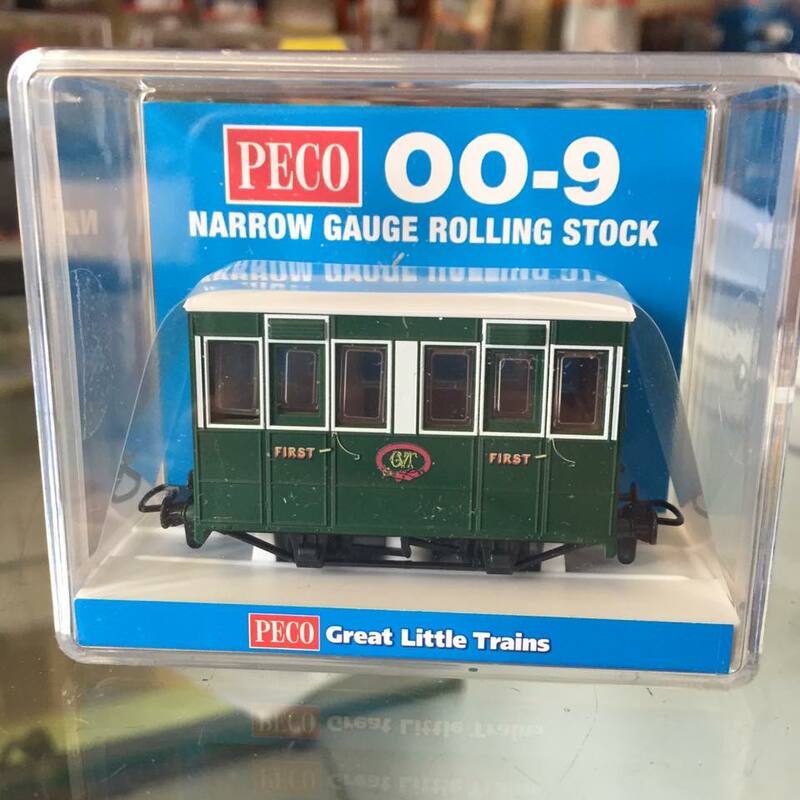 It's a commonly held belief that 'anything goes' on a preserved layout and that to a degree is very true. Liveries can be mixed together to have, for example, a London Transport livery pannier hauling a rake of mark 1s or blue diesels running alongside pre-grouping livery steam locos. The genre really does provide a chance to run every conceivable era from one (pioneering) right through to era nine (post privatisation) as Joe Connell's photo below shows even the very latest in diesel technology has made it on to preserved metals at diesel galas. But wait! There is a drawback to this idea (in my opinion) and that is if you want realism you shouldn't really go dragging long since departed classes out of history and back into the current world. Dragging the likes of Hornby's D16s and Bachmann 3Fs back into existence isn't really cricket in my opinion. But those who want to, it's your railway at the end of the day! The same possibly applies to bringing back long lost members of 'famous' for example bringing back another A3 or Duchess wouldn't really work but another pannier tank or Black 5 would go relatively unnoticed. 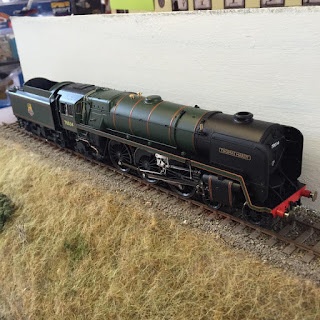 So far we have only really touched on the idea of building models of real locations and there are many of them to choose from, we have already looked at Oakworth in a previous blog, we've touched on Quorn in this one and I plan to look at several others in future blogs. However, there are two other options to consider, one is to design your own station and create your own little preserved world or you can find a station that is long since closed and bring it back to life in model form. The big advantage to this is nobody can really tell you it's wrong and you can tailor the track plan to suit your location too. Generic buildings can be used as well in this scenario rather than being tied down to precise replicas. Populating these layouts with locos and rolling stock is an interesting challenge, a layout I'm currently working on (nowhere near complete) is a fictional preserved station and I have chosen as resident locos, a B1, black 5, 8F, pannier tank and Hunslet Austerity (J94) and a class 37 along with a reasonable selection of passenger and freight stock to represent the home fleet and then other preserved locos can visit for galas. modelling a mainline connected location, like Keighley or Kidderminster Town in real life, allows for modern and preserved to mix together. A shed scene can be made like Didcot or Carnforth which can provide a home for an eclectic mix of locos from different eras or regions in a small space. 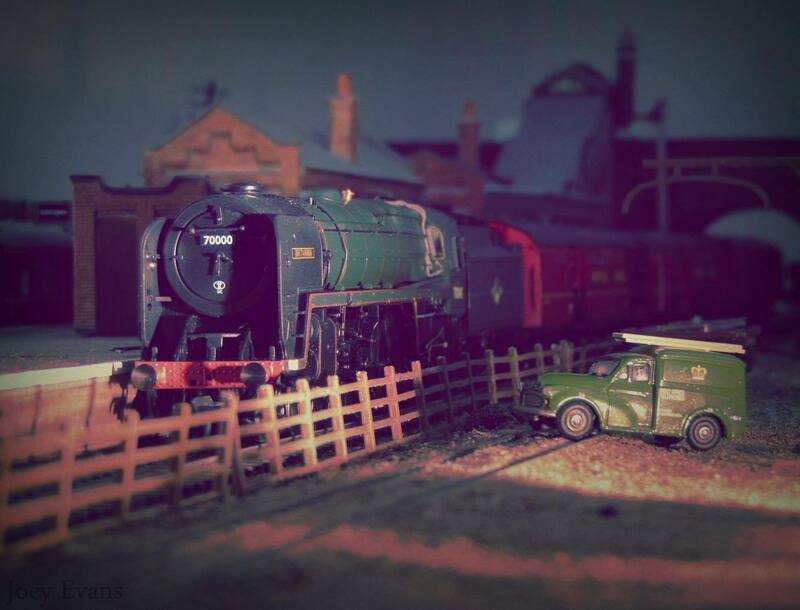 Small stations can be realistically modelled in small spaces and play host to big locos realistically. For example stations like Oakworth has seen big locos like City of Wells, 8Fs, Jubilees and many more in it's time which would look very out of place on a normal branchline but fit a lot better in a preserved location. That's all for this blog, I hope it has made interesting reading and doesn't come across to preachy in places. As I said earlier it's your railway and you do what you want! This is just food for thought. Thanks to Joey Evans and Joe Connell for allowing use of their images. A Zest for O gauge. First of all an apology for this being the third blog in a row about new releases! I'm hoping to write something 'different' next week! Anyway, here is our latest arrival and it's a bit special. 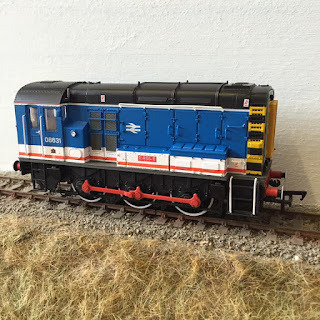 Heljan's latest O gauge offering is the iconic Warship Diesel Hydraulic locos. It's really hard not to get carried away with O gauge models purely on the size and scale but this is a very impressive bit of kit. There is little one can fault with the model. As usual the livery, crests and numbers are well applied. 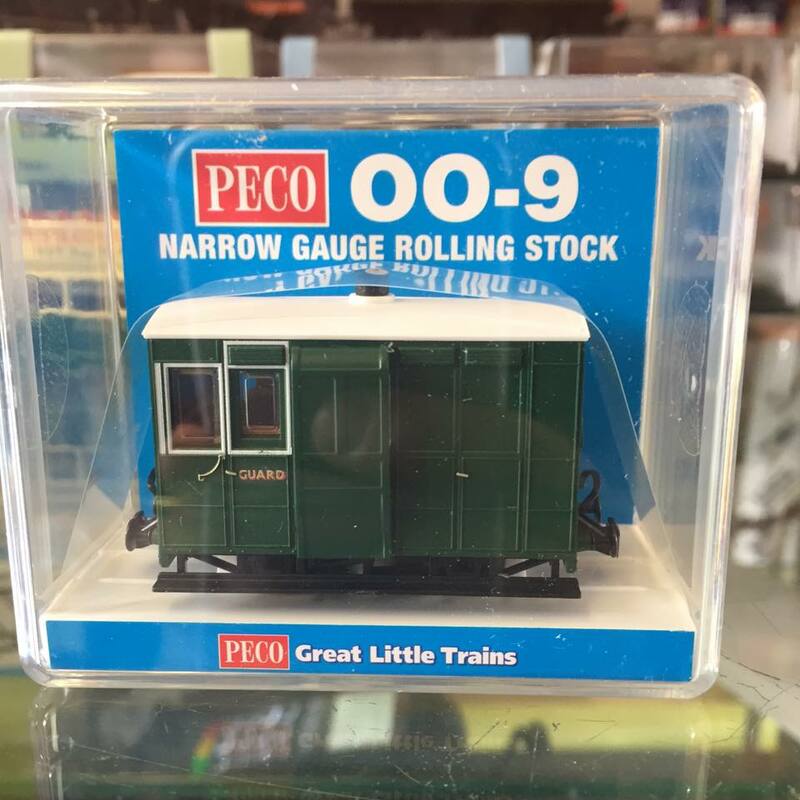 Performance is hard to judge as we only have a single yard of O gauge in the shop, which is barely a wheels turn in this scale! There is little to criticise of the locos, however, the British Railways emblem on the green version isn't the best version I've ever seen. Elsewhere for the price tag I'd have thought a pair of etched brass nameplates could have been included. Another personal issue I have is unboxing the loco which is quite a nerve racking moment as the box warns if done incorrectly this can damage the loco. We have 2 liveries in stock, D827 in green with small yellow panels and D869 Zest in maroon with small yellow panels. Priced at £550 each. Overall O gauge seems to be the up and coming scale at the present time with Heljan and Dapol's range ever expanding and this addition to the range will be very welcome especially with those modelling the Western Region. New Arrivals, they're like buses! It's always the way, no new releases for a while then they come along like buses! Literally in the case of one new arrival! 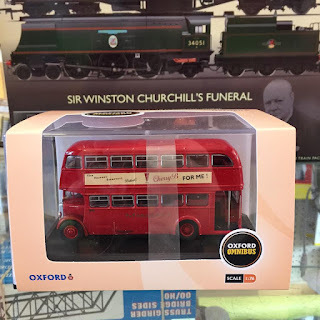 We'll start with the latest offerings from Hornby Hobbies. 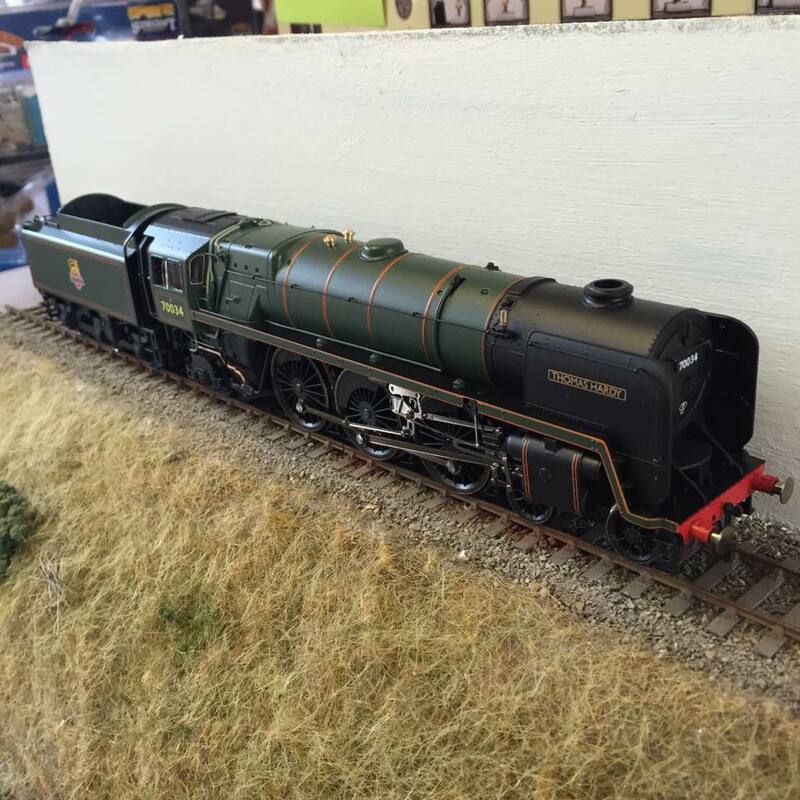 Also, just in (literally) from Bachmann are reissue K3s in LNER black & BR early crest livery. They both retail at £139.95 and our price is £118.95. More information available if required. For the first time since starting this blog we have some new products to take a look at! Starting with the latest livery issue from Bachmann. 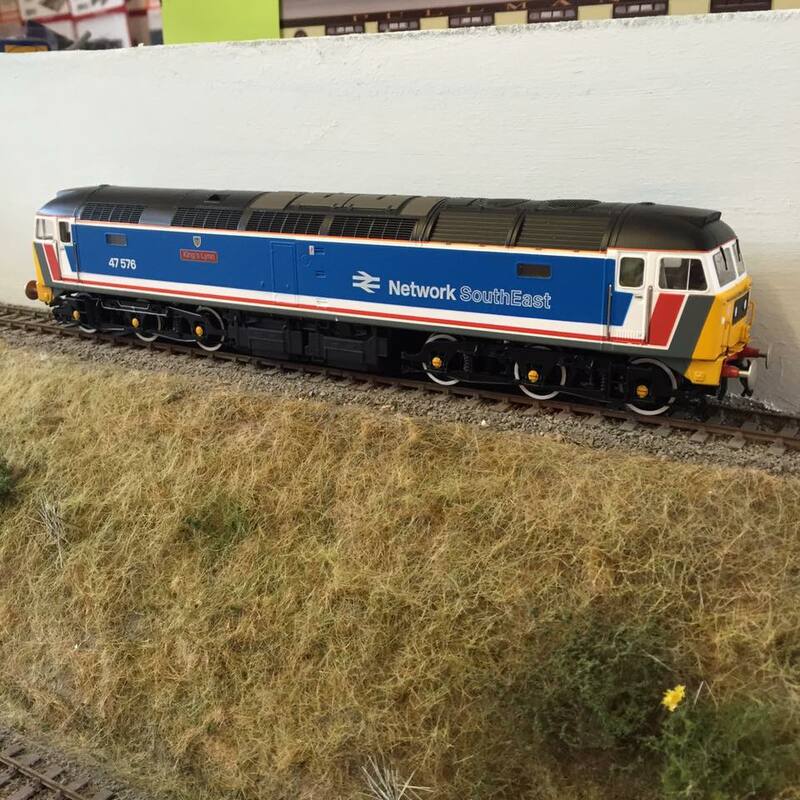 To mark the 30th Anniversary of Network SouthEast Bachmann are releasing a selection of their range in the iconic livery. The first to arrive is 'Eagle' a class 08 diesel shunter, which happily is still with us on the Mid Norfolk Railway. As usual the livery is applied superbly and the loco performs very nicely at slow speed in both directions. Also included are a pair of etched brass nameplates. Chipping these locos can be a bit of an issue but if using a direct plug in chip like the Gaugemaster DCC29 life becomes a lot easier. 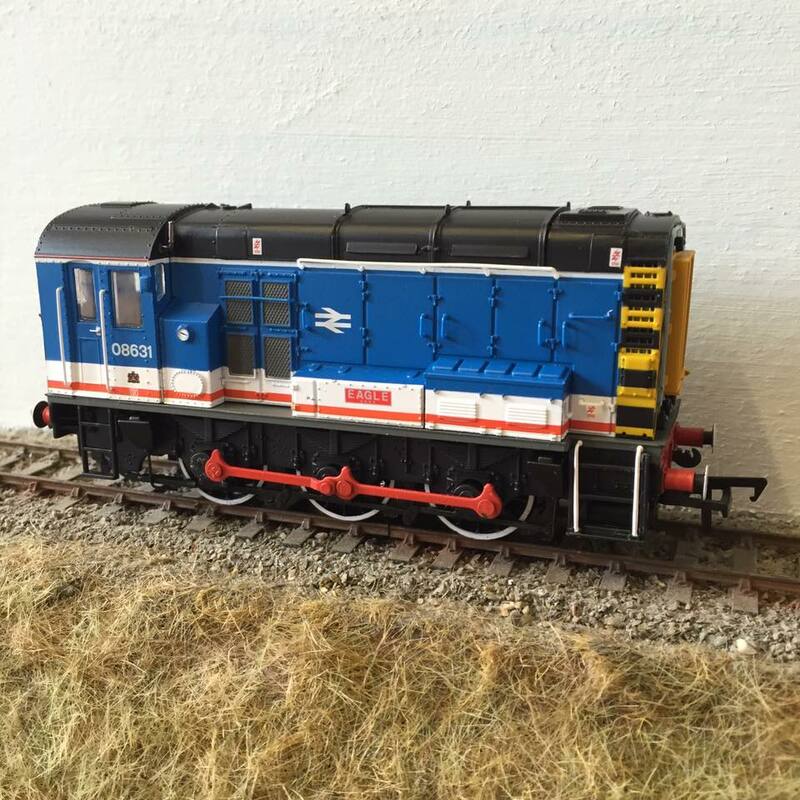 This is the fourth livery variant of 08 currently available for Bachmann, along with BR early crest green, BR blue (faded, weathered) and DB Schenke. Up first we have GR505 which is a representation of the Glyn Valley Tramway coach after it had buffers fitted by the Tallylyn Railway. The other addition is GR535 Freelance 4 Brake Coach with buffers. 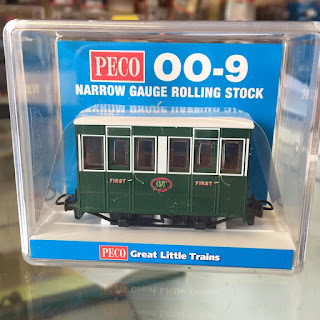 As the description suggests unlike the passenger coach this vehicle never actually got buffers but still would make an excellent addition to a narrow gauge layout especially if you are not looking to produce a model of anywhere specific. These vehicles are beautifully detailed products and (in my opinion) would make an excellent addition to either a freelance narrow gauge layout or a layout based around activities on certain North Wales systems. The only thing I feel lets down the PECO product down is the plastic wheels. That's all for now, hopefully there will be some more tasty new products arriving, including another Network SouthEast livery loco. Keep enjoying your modelling guys and stay in touch :) Tony. When I started this blog I endeavoured not just to write about the obvious and the latest products on the market. I hope this post helps to keep me within those aims. This Sunday I again found myself at a loose end and decided with the weather looking advantageous a trip to Keighley to see BR standard 4 75078 and Taff Vale Railway 0-6-2T No.85 would be a good idea. As with last week's post spending time waiting for a train often leads your mind to wander I find and while sat in the field by Mytholmes Viaduct the thought hit me that this would make an excellent layout design for those limited for space wanting to recreate a real location. There it is, instantly recognisable from the classic family film The Railway Children, whilst not being a big mainline station with lots of activity a small single platform station with an average size building a goods shed and a couple of sidings. If you wanted a bit more action you could reinstate the passing loop which would have been to the right of the picture. BR Standard 4 75078 crosses Mytholmes Viaduct on a beautiful spring evening. Shortly after leaving Oakworth the line swings round at 90 degrees crosses Mytholmes Viaduct and disappears into the short tunnel to the right of the photo. In my opinion, this offers the chance to bring the line round on a reasonable curve, while not being quite as sharp 3rd or 4th radius would not be out of place. The viaduct adds an extra scenic feature and the tunnel provides a natural scenic break. Again depending on how accurate you want to be depends on how you go about building the viaduct but for someone looking for a reasonable representation I'd suggest the Metcalfe card kit which can easily be modified. Then really it's up to you (and the amount) as to how much detail you go into on the layout. If you have a bit more space then a representation of Vale Mill (the church looking building to the right of the picture and the extra bridges can be added. The curved platform could be straightened for a simplified build and then it's your choice if you use settrack or flexitrack. Leaving Oakworth in the Keighley direction is probably going to be a work of fantasy where the line curves back round to the hidden section of the layout with possibly a ficticious bridge or tunnel too! The same applies when it comes to locos and rolling stock. This layout should be able to suit all budgets, you can be super accurate and buy the latest models, some of which are KWVR residents or previous KWVR residents/visitors or you can renumber the loco yourself. 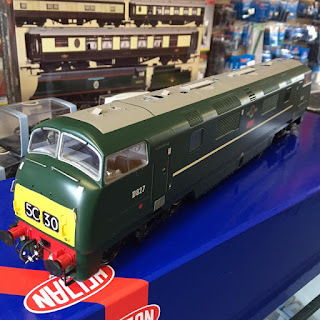 For example the train in the picture you can find a double chimney standard 4 with a BR1B tender from either Bachmann or Hornby's most recent versions and pay 'good money' and pair it with Bachmann mark 1s or you can shop around and find an early Bachmann or even a Mainline Standard 4 and some earlier Hornby/Lima/Mainline Mark 1s to make a fair recreation of the train seen for a budget price.... The choice is yours. I hope you've enjoyed this blog. I've enjoyed writing this one (and probably could have wrote a lot more!) I'm currently experimenting with a layout design program to produce a plan using settrack, if anyone is interested in seeing the end result please get in touch. Rugby Evening Toyfair, The Benn Hall, Newbold Road, Rugby, CV21 2LN. Our regular appearance at Rugby Evening Fair (our local toyfair and where we began our trading life) one of the smaller fairs but always worth a look, a very pleasant evening. Cotswold Festival Of Steam, Gloucestershire & Warwickshire Steam Railway, The Railway Station, Toddington, Gloucestershire, GL54 5DT. We make our 3rd visit to the ever popular Cotswold Festival Of Steam at the Gloucestershire & Warwickshire Steam Railway. This years event has a made in Swindon theme to it to celebrate 175 years since locomotive construction commenced at Swindon Works. Statfold Barn Railway Enthusiasts Day. The Grain Store, Ashby Road, Tamworth, Staffordshire, B79 0BU. After making our debut at Statfold Barn last month we make our return for their Enthusiasts Day. 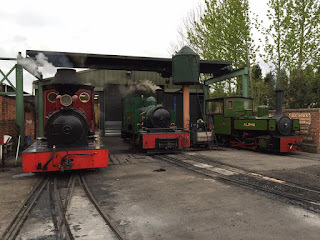 Statfold Barn is a private railway and only opens to the public 3 times a year. 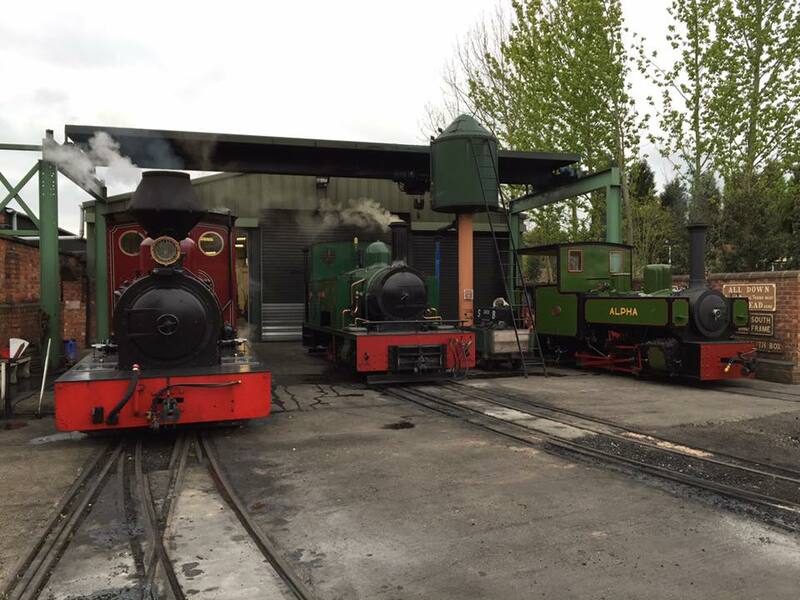 Often boasting more than 10 narrow gauge locomotives in steam. We have put this event in with the May events as if you wish to attend this event you must get tickets in advance and the site does not admit under 14s. Vintage Coaches, a gap in the market? Whilst whiling away a pleasant, yet cloudy, day at the Midland Railway - Butterley this Bank Holiday Sunday a thought struck me. Why are there no decent 4 or 6 wheel coaches on the ready to run market? All that currently exists on the ready to run market is the Hornby generic 4 wheel coach which now forms part of the Railroad range. 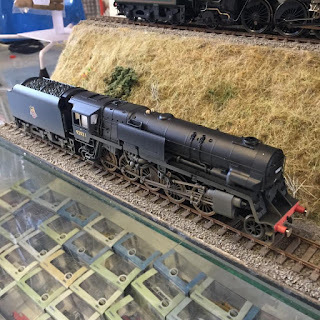 Which is showing it's age and while suitable for the younger audience out there doesn't really cut it with the dedicated modellers out there. With the current growth in pre-grouping models being produced, the rise of locos being produced in their pre-grouping liveries, the growing trend for modelling preserved locations (either real or fictitious) and of course the need to cater for building layouts in small spaces, surely the 4 wheeler is long overdue an upgrade? Just a couple of ideas there, the list is endless and then do you produce 4 or 6 wheel coaches? A lot to think about and who knows maybe some manufacturers already are thinking about it? Keep enjoying your modelling guys and stay in touch.